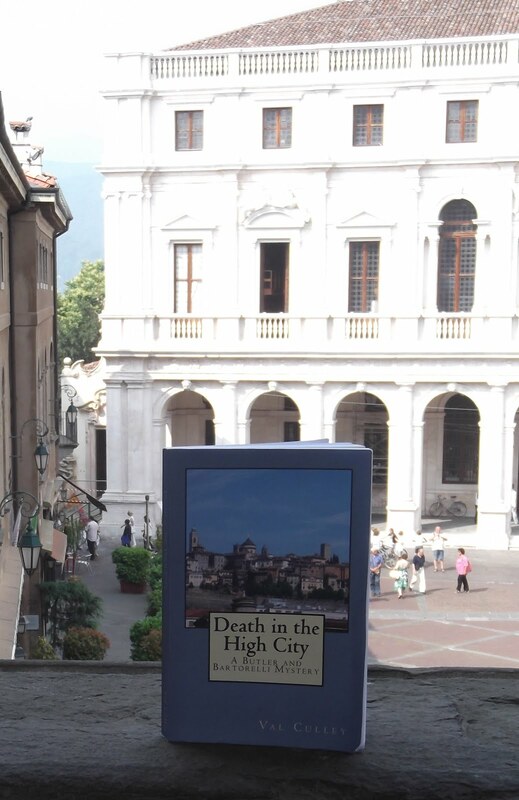 Not to be missed in Bergamo’s Citta Alta…. Towering above Bergamo, the Castello at San Vigilio symbolises the military importance of the city over the centuries. Bergamo’s second funicular railway in Largo di Porta Sant’Alessandro will take you up to San Vigilio, from where there are spectacular views over the Città Alta (upper town) and the surrounding hills, which are dotted with old villas and farmhouses. From the funicular station, turn right and it is a short walk to the Castello, which was built as a defensive fortress with thick walls and four cylindrical towers, from which soldiers could keep watch over the surrounding countryside. The Castello is thought to date back to the sixth century at least, but it is known to have been reinforced in the 14th and 15th centuries. From the Castello, there are wonderful views over the surrounding countryside and Bergamo’s Città Alta and Città Bassa below. It is well worth the two and a half minute funicular ride up to San Vigilio for the photographic opportunities alone. Castello San Vigilio in Via al Castello is open from 09.00 to 20.00 during the summer and from 10.00 to 16.00 during the winter. Tel: +39 035 236284.